The goal for the beginning of 2nd grade is that children can read 50-60 words a minute. By the end of the year, they will build up to reading 90 words a minute. Fluency also means the reader can read the same way as they talk, using expression and changing their voice to reflect what is happening in the story. When children read smoothly and have fluency, they can better understand the story. Just like in 1st grade, the teacher will give “timed reading passages” where students will read a story and be timed for one minute so the teacher can keep track of how many words they can read. By December, 2nd graders should read 70 words correct per minute (WCPM). By May, students should be reading 90 words correct per minute. I’m Worried About My Child’s Reading – What’s Do I Do? Your child needs a model of reading fluency. They begin to develop their own fluency when they can hear how you change your expression throughout a story and read with ease. Tell them how you raise your voice at the end of question sentence (“Do you like eating broccoli?”) or how you change your voice for different characters (“This character is really afraid, so I’m going to make my voice shaky when I read his words.”). Have them match your expressions and speed after you demonstrate. We must prevent children from experiencing frustration as they try to read. This means finding a book that they are able to read comfortably and offers only a slight challenge, meaning, they can comfortably read 90% of the words they see. 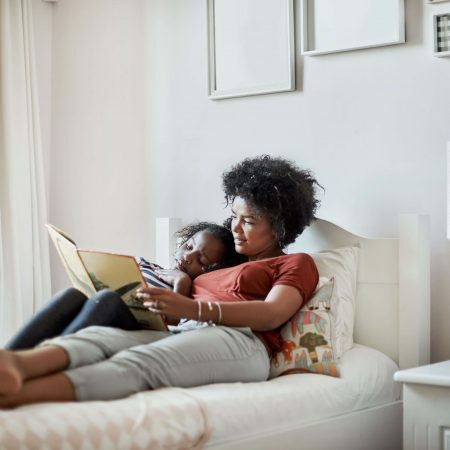 When children get in the swing of reading, they still are reading word-by-word, decoding more quickly but not knowing how to craft their voice into a story that is pleasing to hear. Tell your child that you are going to work hard to break the habit of “robot reading”. Demonstrate how a robot would read a sentence from their favorite book. Now have them read the sentence and ask them how they can make it sound better. The most helpful thing you can do for your child is to pinpoint where they need help and help them fix it. Let’s read this sentence together and pause when we see a period and let our voice drop so we can hear how a sentence should end. Pick a sentence from a book that is on your child’s reading level and have them read it out loud. If they skip a word or mispronounce have them read the sentence again. Read it again for a third time. This activity, in less than five minutes, shows your child that they have the power and control over how the story sounds. Do your own at home “reader’s theatre”. Using any picture book, have your child read it as though it was a performance, acting out each page from the story. Let them pretend to use a microphone like they’re on stage or as if they were an actor in a movie. Captivate your child’s attention by listening to an author read a story with rich expression. Have your child tell you why they enjoy listening to a “storyteller” (someone who uses expression and reads like they talk) instead of a “robot” (reading word by word slowly). These are sample 2nd grade reading passages that are used for timed reading to show parents how their child is tested. A teacher would select a passage based on your child’s reading level and have the student do a “cold read,” meaning the student has never read or practiced the passage before. Once the student begins, they are timed for one minute and the teacher follows along on a copy of the same passage. The teacher notes the places where your child skipped words or misread. After the minute stops, the child stops reading and the teacher counts the number of words read correctly. Students are typically tested three times throughout the year. Using the free Voice Memo app available on most phones, let your child record themselves reading. They could pretend to be reporters! Listen back to the recording and give them corrective feedback and guidance about how they can drop their voice at the end of a sentence or raise their voice at the end of a question. Have them practice phrasing or emphasizing a single word to give the sentence a powerful effect (“Did you KNOW that tornadoes could tear the roof off of your house?”).